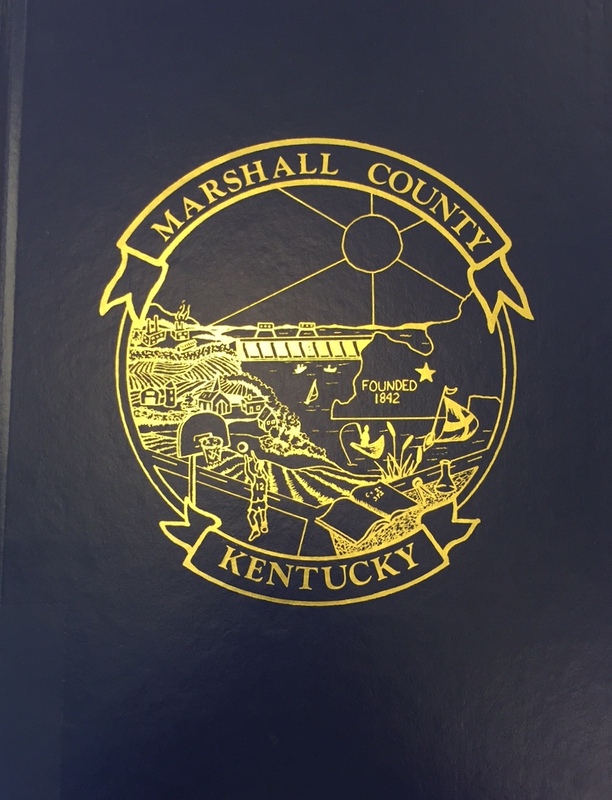 Kentucky Ancestors Online | It’s National Library Week! What Are YOU Reading? Home News It’s National Library Week! What Are YOU Reading? Welcome to National Library Week! All across the country, people are celebrating the value of libraries in our communities! 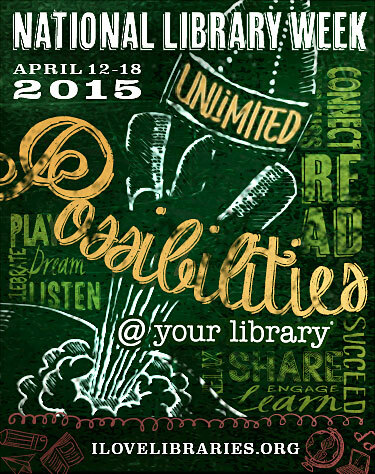 The theme this year is: Unlimited possibilities @ your library®. The KHS Martin F. Schmidt Research Library is joining along to highlight some of the great things you can do right here! As a research library, we provide the largest genealogy collection in the state, along with thousands of unique, archival items not found anywhere else. We encourage you to get to know our library and its wonderful collection by coming in for a visit, or roaming through our free online catalogs. Throughout the week, we will be posting a new piece every day to highlight some of the unique things you can discover when researching in our collections. 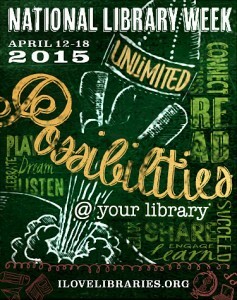 What amazing things can you find @YourLibrary? Check back each day to learn more – the research possibilities are endless! 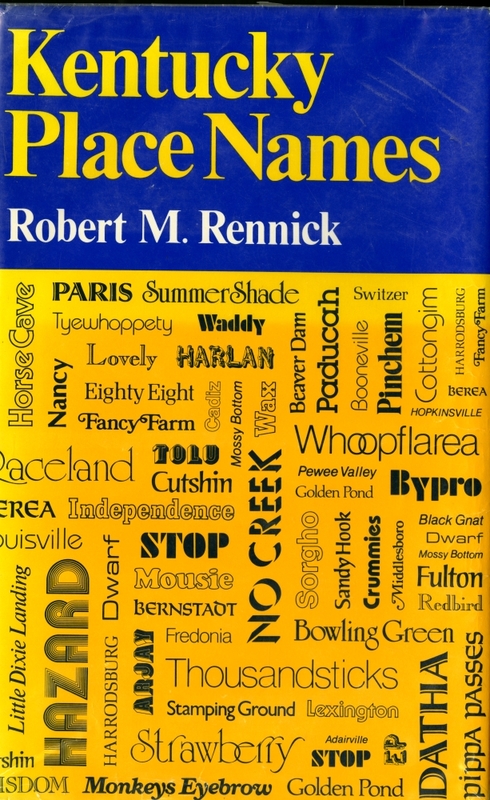 To kick off National Library Week, KHS staff members have selected their top five titles for helping you get started researching your Kentucky roots! All five are available here in the library, so stop by for a visit! 1. 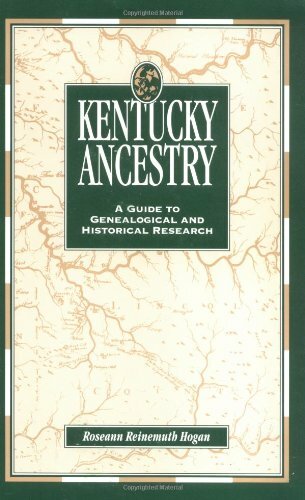 Kentucky Ancestry by Rosemary Reinemuth Hogan: (Paperback: 388 pages, Publisher: Ancestry.com (August 1, 1992), Language: English, ISBN-10: 0916489493, ISBN-13: 978-0916489496.) This classic research gem is currently out of print but we have several copies in the library for your use. 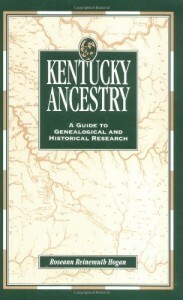 The first half of this title explores the unique nature of Kentucky records, and how to use them. The second part of this title contains a county guide listing the records that still exist and which institution owns a copy for you to access. If your county had a courthouse disaster, this is also included in the county level information. Since it is out of print, our only caution lies in the contact information listed. Many courthouses/historical societies have been replaced or moved since 1992, so check with current online sources before heading out on the road. 2. 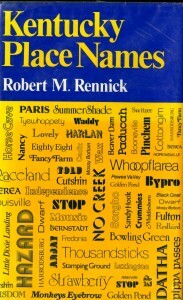 Kentucky Place Names by Robert M. Rennick: (Hardcover: 400 pages, Publisher: The University Press of Kentucky (January 1985), Language: English, ISBN-10: 0813115035, ISBN-13: 978-0813115030.) This is also another classic used quite often at the Library Reference Desk. Successful research often depends on searching the records of the correct area. In most cases, it’s not too hard to identify the county we need, but in other cases….do you know where Massack might be? Or Maxon’s Mill? Or Nugent? Or Sulphur Fork? Or the correct Jackson? This book can help make heads or tales of the location mysteries your family may have passed down. They can run but they can’t hide with a book like this! 3. Kentucky Atlas of Historical Boundaries by John H. Long: (Series: Atlas of Historical County Boundaries, Hardcover: 485 pages, Publisher: Charles Scribner’s Sons (September 1995), Language: English, ISBN-10: 0133095436, ISBN-13: 978-0133095432.) Once you have your county picked out, your research needs to be guided by a date range. But what if your county boundaries changed over time? And which county was the parent county to the county you are currently researching? Researching how the rural areas of Kentucky evolved into 120 counties over time is extremely important when hunting down ancestors. We’ve heard tales of some families living on the same farm for years, but living in three different counties, simply because the boundaries changed so many times! This book will show you all of the changes that took place over time – for EACH county! 5. 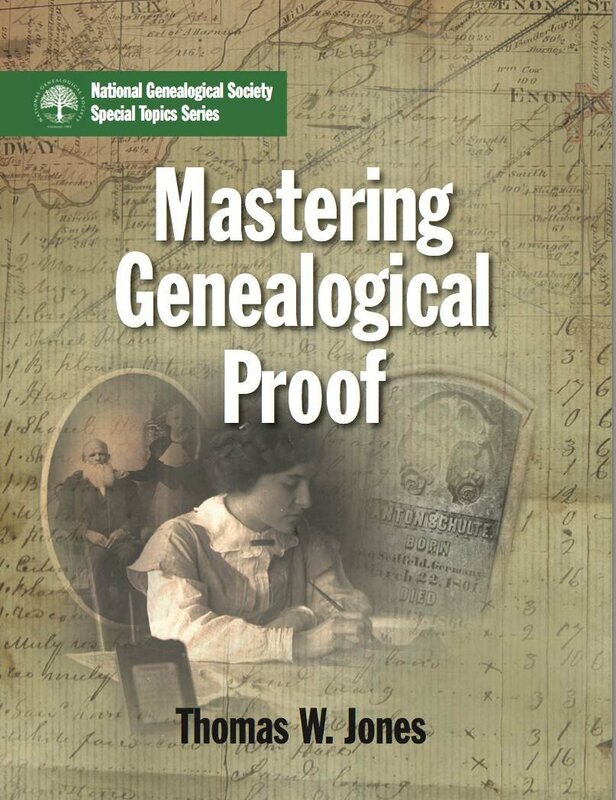 Mastering Genealogical Proof by Tom Jones: (Perfect Paperback: 178 pages, Publisher: National Genealogical Society (2013), Language: English, ASIN: 1935815075.) Genealogy requires a lot of hard work, and unless you properly cite your sources, perform an exhaustive search, and resolve conflicting evidence, you might be leaving a family history not worth the paper it’s printed on. 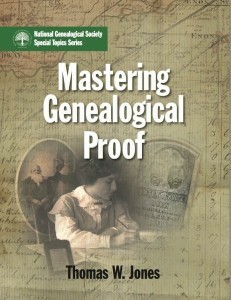 Do yourself a favor and spend some time understanding the Genealogical Proof Standard. By following the five steps, your research should stand the test of time. Trust me, the future generations will thank you! This title by Tom Jones guides readers through the five step plan with workbook-like examples that demonstrate the principles behind the methodology. It’s time to celebrate libraries everyone – so pick up a good book and get reading! Our library is open Wednesday through Saturday, 10-5, and Thursdays 10-8. As a reminder, we have all five of the above titles just waiting for your visit. What can you do in the Martin F. Schmidt Research Library? Check back every day this week to find out! After realizing what occurred free sample just need to bear in mind that the that nil aspiration vary.